Most professional photographers steer away from zoom lenses with focal lengths that extend across several more than two focal-length ranges, due to concerns over image quality. You’ll see pros using zooms that are ultra-wide-angle on one end and wide-angle on the other (something like a 14-24mm), wide-angle to standard (24-70mm), telephoto to super-telephoto (100-400mm) and so on, but a lens that goes from wide-angle to telephoto is less common. Because it’s difficult to maintain excellent optical quality across such a wide range of focal lengths, these lenses tend to underperform at just about every focal length. These super-zooms are often designed to be budget-friendly options for the enthusiast. At the most, you’ll see pro photographers turning to these lenses if they’re traveling with some sort of constraint on the gear they can bring to a shoot. That makes the Sony FE 24-105mm F4 G OSS one of those nice gems of a lens, a zoom with a range of composition options that doesn’t underperform at any range and that can be used in a variety of shooting situations. Sony’s G Master 24-70mm would be a better choice for demanding photographic work that didn’t need the extra 35mm of reach provided by the 105mm, but the 24-105mm F4 G OSS is a great choice, especially when shooting subjects that don’t need the extra stop of light gathering provided by the ƒ/2.8 setting on the 24-70mm lens. in Sedona, Arizona. In fact, I shot nearly exclusively with the 24-105mm F4 G OSS during the trip and came away impressed with the images. Despite the fact that there’s built-in image stabilization, the 24-105mm is a compact and lightweight lens, measuring just 4.5 inches when at the widest setting and just 3.98 inches across. Weighing under 1.5 pounds, the lens doesn’t make the camera front-heavy when attached. The versatility of this lens, especially on landscape shoots, is hard to beat. 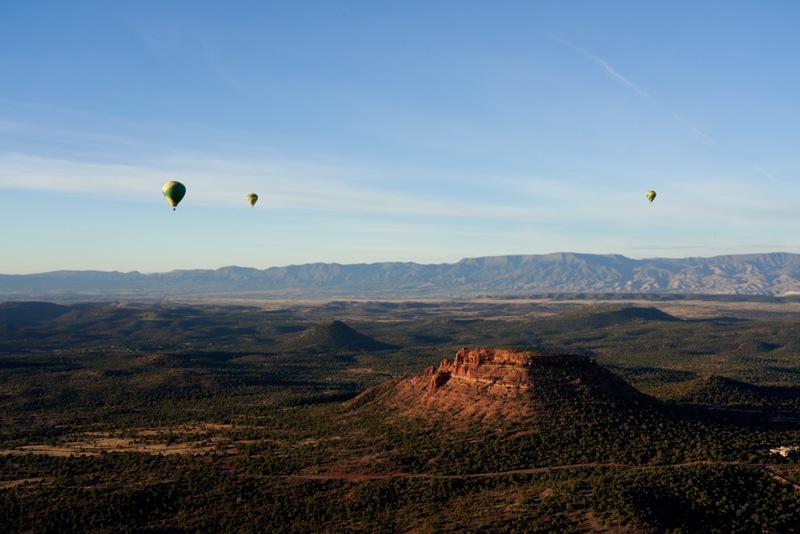 When shooting the buttes of Sedona from a helicopter, I often would go from shooting a wide-angle vista to zooming in on a cave dwelling on the side of a cliff, something that would ordinarily require a lens change—something that’s frowned upon in a helicopter with no doors on. The stabilization (combined with that in the camera) allowed me to handhold the lens even at 105mm with no image blur. The side of the lens has a programmable focus hold button, as well as switches for the focus and the stabilization, and the body is dust- and moisture-resistant, as well. Internally, the lens has two Advanced Aspherical elements, plus Sony’s Nano AR coating to “eliminate flare and ghosting” (according to their literature). Flare wasn’t eliminated in our tests, though it was much less present than in other super-zoom lenses I’ve tried. I had to shoot nearly directly into the sun to trigger lens flare. Sharpness seems to be just slightly softer than the company’s G Master lenses, or something like a Sigma ART lens, though at this price point that’s to be expected. The lens was sharp enough that any subject sharpness issues could be easily tweaked in software, and in-camera JPEGs looked much sharper by default. It’s hard to tell in the landscape shots exactly how much of the sharpness was lost due to atmospheric haze (and a nearby forest fire) and how much was the lens, but portraits of close subjects were tack-sharp and, again, landscapes just needed a little tweaking. I could easily go from landscapes to portraits to astrophotography without having to change lenses, and that makes this a great travel lens. Pros using it as a primary lens would still be wise to couple it with a prime that’s ƒ/2.8 or faster, for those situations where background defocus is key to a shot. I’d probably couple this lens with a 50mm or an 85mm lens when on the road. It’s also a great lens for the videographer, as the Direct Drive SSM motor allows for silent focusing. It was impossible to hear this lens in action, and none of our video tests have any focus motor noise from this lens. 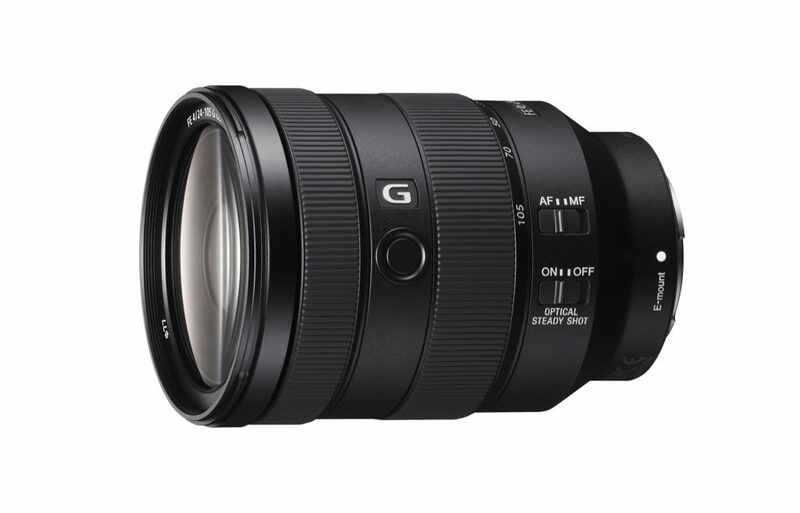 The Sony FE 24-105mm F4 G OSS is priced at $1,300, and it happens to be one of the rare lenses that not only is good for the enthusiast but also for the pro. The lens is a particularly great choice for the photographer getting started with the Sony system. It’s versatile, fast, sharp and, thanks to the fixed ƒ/4 across the whole range, able to create great images with good background blur for most subjects, and it’s a great lens for the videographer, thanks to the variety of available focal lengths and the smooth focus.